As a pediatric therapists, we like to put our own unique spin on classic activities like scavenger hunts to target all kinds of developmental skills. 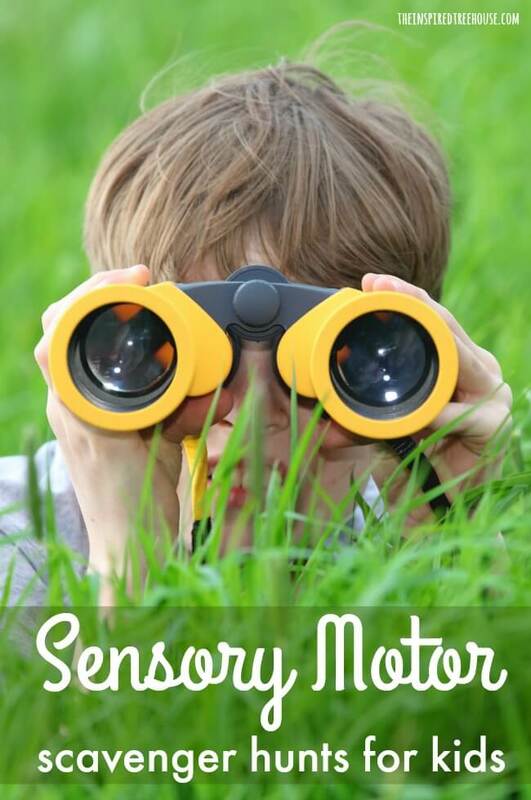 Looking for a fun way to encourage kids to explore the world using their senses? 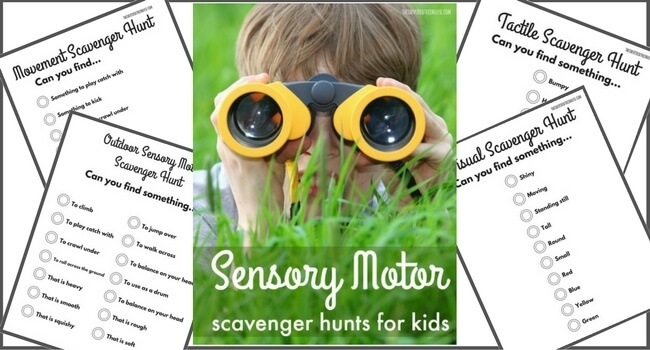 These Sensory Motor Scavenger Hunts will get kids moving, touching, noticing, and interacting with their surroundings in a totally different way! They’re a great way to show kids how to explore their sensory systems!